Print Square Brochures online Upload Your Brochure Print File Here! “Be a flamingo in a flock full of Pigeons”- what we are trying to say is stand out from the rest with a 210mm Square booklet. Your corporate square brochure plays a vital role in your business as a strong and powerful marketing tool. It is essential your square brochure looks the part, that’s why businesses nationally use PrintUK.com to produce their printed square brochures. High Quality, Full Colour, Cheap square brochure printing in popular sizes such as 210mm and 148m, from 8-48 pages. 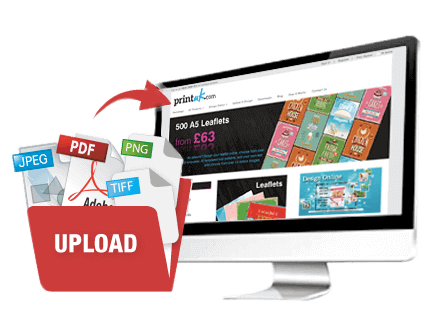 Upload your files and order your brochure printing online today. View all Square Brochure Printing options. With a compelling and beautifully elegant shape a 210 x 210mm square brochure shouts professionalism. The square shape of this brochure expresses a modern and clean style. An effective way to get you and your work noticed is a well organised sleek designed square brochure. Your business brochure is vital to the success of your marketing strategy by providing information about the products and services you offer. Incorporate your branding style and graphic design into a high quality and professional brochure for your business. View How to Supply your Brochure Artwork. Help is at hand, here at PrintUK.com we have a load of helpful hints and tips for you to create a square brochure with impact. Remember what it is that you want to convey with your brochure, bare this in mind when choosing your design. Square Brochure printing will help boost your business sales when your printed brochure stands out in comparison to others. Use captivating images and targeted product and service information you can connect with customers and bring your brand to life. PrintUK.com provides high quality but cheap 210mm & 148mm Square Brochure printing and design. Avoid using unusual fonts, you can create uniqueness in other effective ways. Keep your design as clear and simple as possible. Use the odd accent font to highlight an area of interest. Quality images = Quality square brochure. Keep the colour palette in line with your branding. This maybe obvious BUT remember to proof read each page. Depending on the number of pages consider using a contents page, direct your reader to what interests them. Make the front page “flash” – grab their attention using the front page and motivate your reader to look inside. Ensure your corporate logo and design are fully incorporated and are a focal point of the front cover. Use contrasting and vibrant colours, bearing in mind your corporate identity. Opt for a premium finish and colour. Have your products and services throughout to illustrate what you can do (Show off what words can't describe.) Don't forget to include: Phone Number, Email Address, Business Address, Website. Square booklets are essential to growing your business, highlighting the products and services that you offer whilst connecting people with your brand. It all starts with with the creation of a standout brochure design. So when you upload and save your Brochure design you can come back to it anytime, on any computer. When a square envelope drops through your customers door it will catch their attention, its not a typical shape. Square brochure printing is a fantastic way to market and sell your products and services. Without a doubt a unique square brochures will capture the imagination of your targeted audience and create new opportunities for you and your business. Consider implementing direct mail in order to grow your sales through your current and prospective client base. 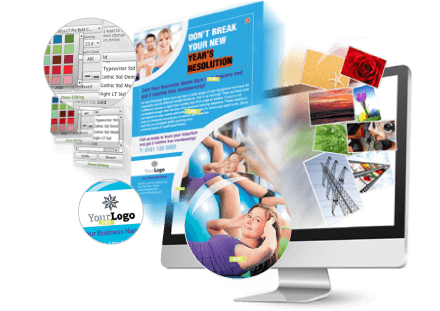 Use professional graphic design services to create a hard hitting brochure to help your business grow. Printed full colour from a lithographic printing press you can be assured your square booklet by PrintUK.com will be the highest quality. Choosing a premium finish in conjunction with the square design your square brochure will give the best impression of what your business offers to your potential new customers. If you are unable to find what you are looking for then we are happy to help, please fill out our Bespoke Quote form as we can offer PUR/ Perfect Bound, Wire-O bound brochures however these are not available as an online option.. The square booklet is an incredibly versatile piece of marketing material. Whether it’s a prospectus or product guide you can bet your bottom dollar your business needs a square brochure. The versatility of this product is key: Product Portfolio’s, Sales Literature, Catalogues, Annual Reports, Newsletters, monthly magazines, manuals, service reports and a host more, representing your product and services. When uploading your brochure artwork please ensure the document size has a 3mm bleed on all edges. Supply your brochure artwork as single pages in high resolution (Press Quality) PDF format.